Michel Ney popularly known as Marshal Ney, was a French soldier and military commander during the French Revolutionary Wars and the Napoleonic Wars. 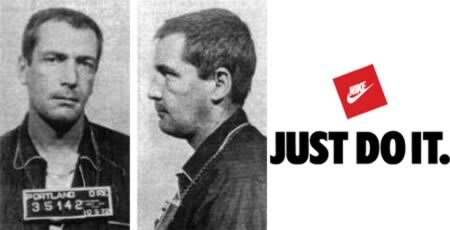 The convicted Gary Gilmore from Utah was demanding his own death. During the summer of ’76, Gary killed two people in two days. . 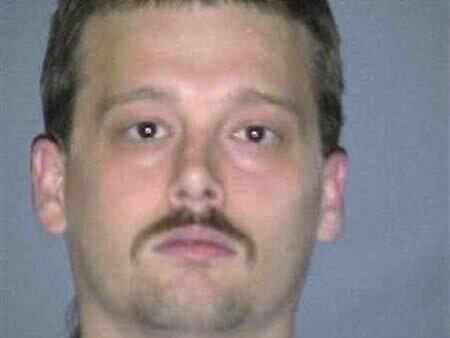 The jury convicted Gary and unanimously recommended the death penalty. 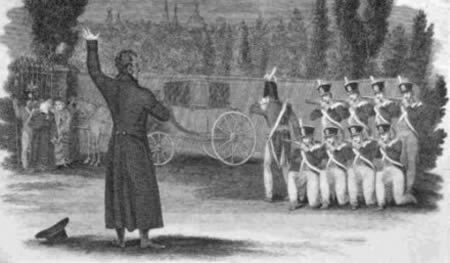 Utah had two options for execution: hanging and fire squad and Gary choose to be shot. Gilmore was executed on January 17, 1977, at 8:07 a.m. by firing squad at Utah State Prison in Draper, Utah. The night before, Gilmore had requested an all-night gathering of friends and family at the prison mess hall. On the evening before his execution, he was served a last meal of steak, potatoes, milk and coffee but consumed only the milk and coffee. His uncle, Vern Damico, who attended the gathering, later claimed to have smuggled in three small, 50ml Jack Daniel’s whiskey bottles which Gilmore supposedly consumed. James D. French was an American criminal who was the last person executed under Oklahoma’s death penalty laws prior to Furman v. Georgia, which suspended capital punishment in America from 1972 until 1976. He was also the only prisoner executed in the United States that year. Already in prison for life for killing a motorist who had picked him up from hitchhiking in 1958, but allegedly afraid to commit suicide, French murdered his cellmate, apparently to compel the state to execute him. French’s last words before his death by electric chair were “How’s this for your headline? ‘French Fries'”. This was the last execution by electric chair in the United States before Furman v. Georgia; after the moratorium on capital punishment was lifted, the first electrocution was John Spenkelink in 1979 in Florida. David Matthews was convicted of first-degree murder in death of Otis Earl Short, who was shot during a robbery at his home. Mathewes postponed his death by lethal injection for three times. .
Former Gov. Brad Henry twice granted stays to give defense attorneys time to investigate Matthews’ claims of innocence. Jimmy L. Glass was an American convicted murderer, executed by the state of Louisiana. He is probably best known not for his crime, but as petitioner in the U.S. Supreme Court case Glass v. Louisiana. Glass’ father worked in Arizona Chemical, where he was an instrument repairman. The company had a policy of hiring the children of employees as temporary summer laborers, including Glass. Before committing a capital crime, Glass already had a criminal record. With fellow inmate Jimmy Wingo, Glass escaped from the Webster Parish, Louisiana Jail in December 1982 and, during their escape, they killed Newton Brown (born 1927) and his wife, Erlene Nealy Brown (born 1931), at their home in Dixie Inn outside Minden. The Browns’ son, Gary Lamar Brown, was the son-in-law of Judge Charles A. Marvin (1929-2003) of the Louisiana Court of Appeal for the Second Circuit, based in Shreveport. Glass and Wingo were soon arrested. Both were sentenced to death in the electric chair. Glass made a headlines in 1985 as a petitioner in a Supreme Court case. He argued that executions by electrocution violate the Eighth and Fourteenth Amendments to the United States Constitutionas “cruel and unusual punishment”. But the Court, by majority 5-4, found that electrocution as an authorized method of executions is constitutional. 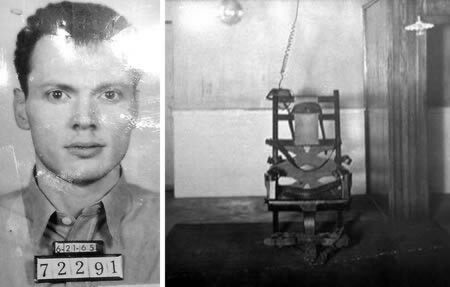 Glass was electrocuted on June 12, 1987 at the age of twenty-five and became the 78th person executed in the United States since 1977. Governor Edwin W. Edwards refused commutation of the sentence. 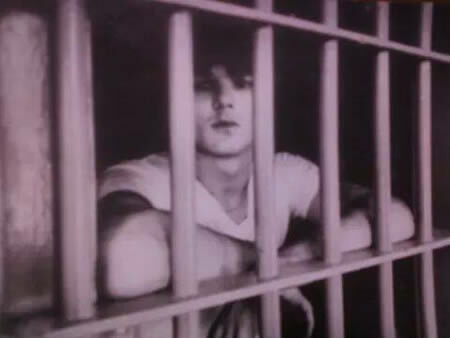 Wingo was executed four days later, on June 16, 1987. Glass’s last words at execution were “I’d rather be fishing”. 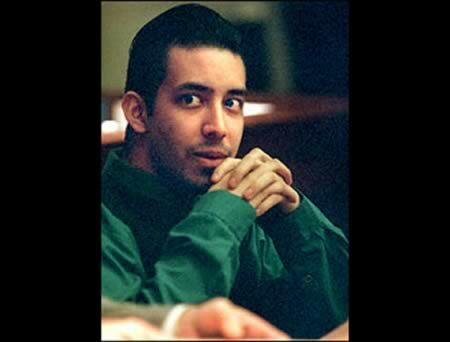 Vincent Gutierrez, 28, was executed by lethal injection for carjacking murder of a 40-year-old man. Guitierrez was suffering from a Bipolar disorder, and his final words were rather poetic: I do, I would like to tell everybody that I’m sorry about the situation that happened. My bad – everybody is here because of what happened. I’d like to thank everybody that’s been here through the years. The little kids overseas – they really changed me. Sister Doris, mom, brothers, sister, dad; I love ya’ll. My brother… Where’s my stunt double when you need one? My Lord is my life and savior, nothing shall I fear. 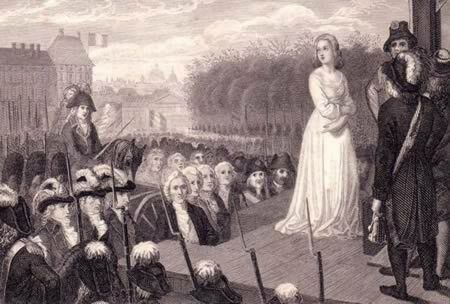 Marie Antoinette died under the guillotine on Oct. 16, 1793. Thousands of people were gathered around to bid the queen final aideu. Her hair was cut off and she was driven through Paris in an open cart while wearing a plain white dress. However, Marie Antoinette didn’t lose her integrity and stayed bold and impudent to the very end. Her last words were, “Forgive me sir, I meant not to do it,” spoken to Henri Sanson the executioner, whose foot she had accidentally stepped on after climbing the scaffold.